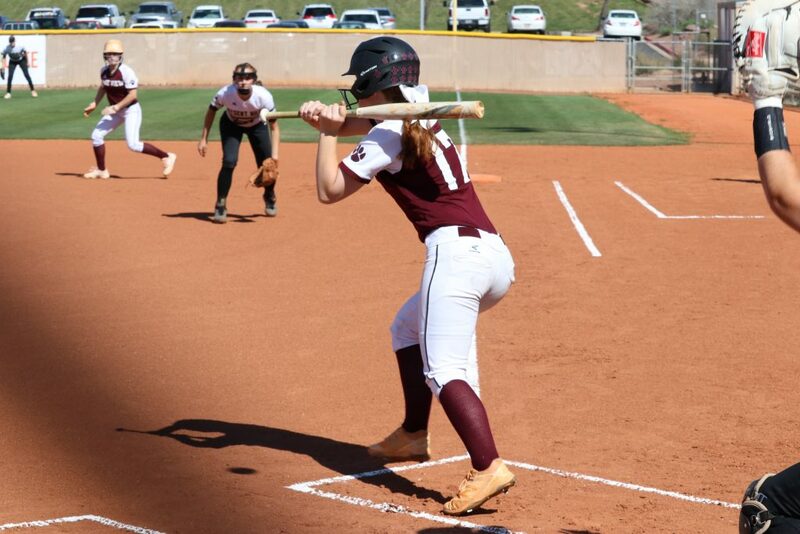 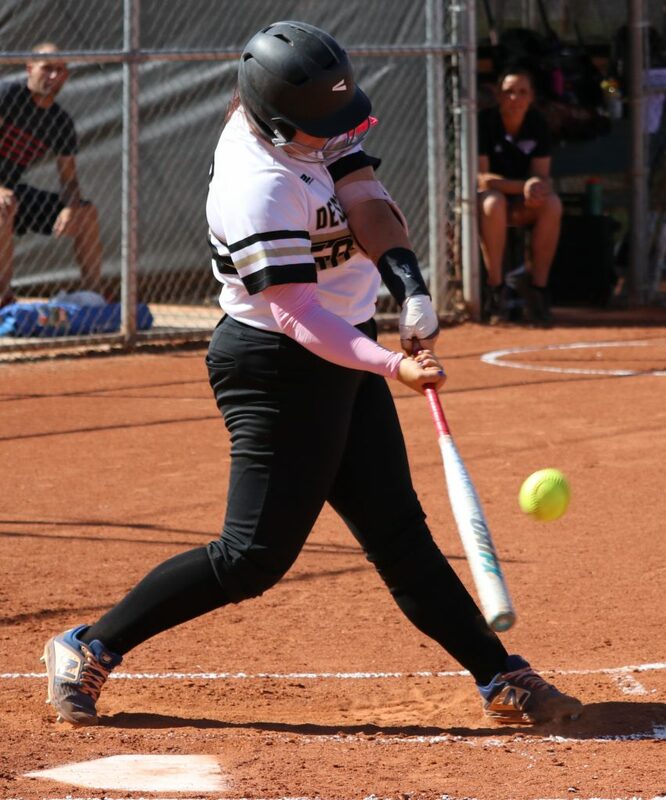 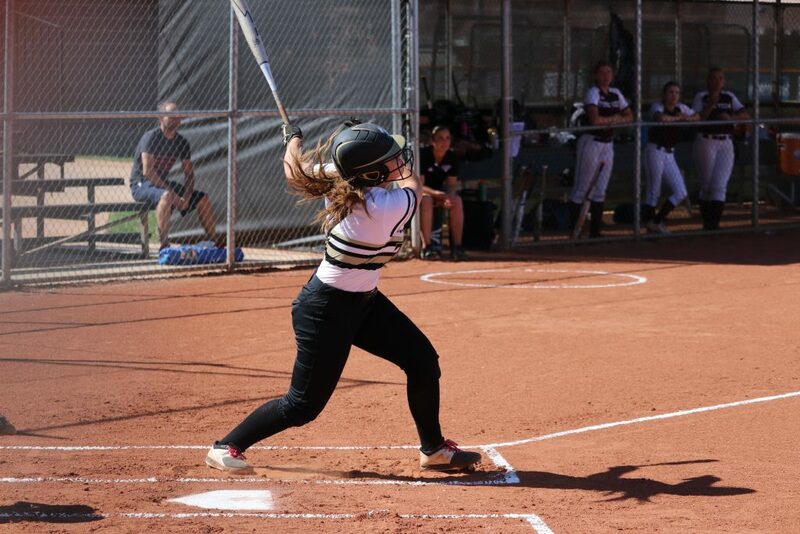 ST. GEORGE — The Desert Hills softball team put on an impressive hitting display Tuesday as they overpowered the visiting Pine View Panthers, 15-5. 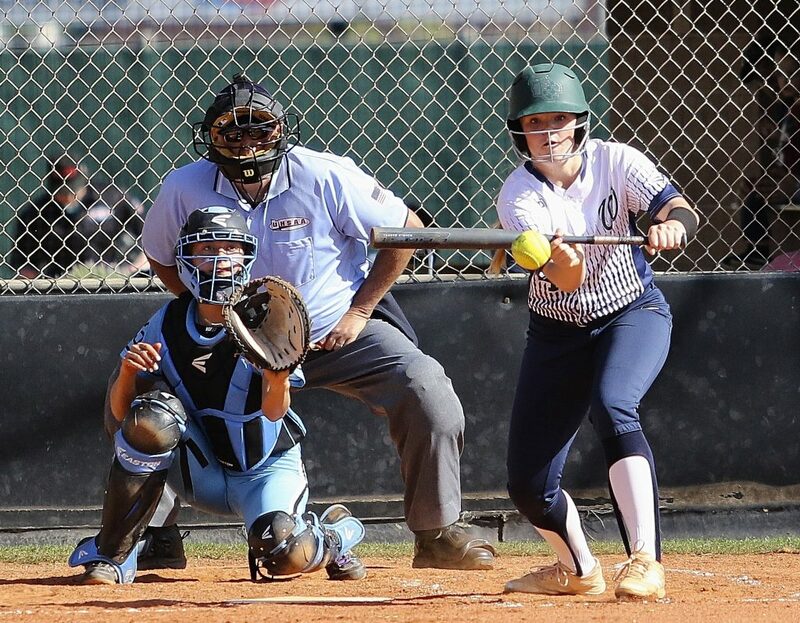 The Lady Thunder belted four home runs in the bottom of the first, an inning in which they also hit three singles and drew six walks. 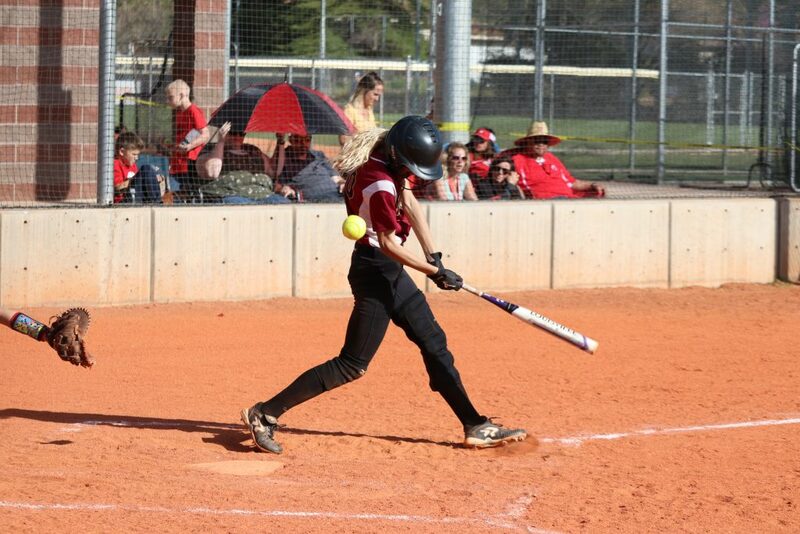 Hitting dingers were Lexi Green, Addi Betts, Codi Olds and Faith Baumgartner. 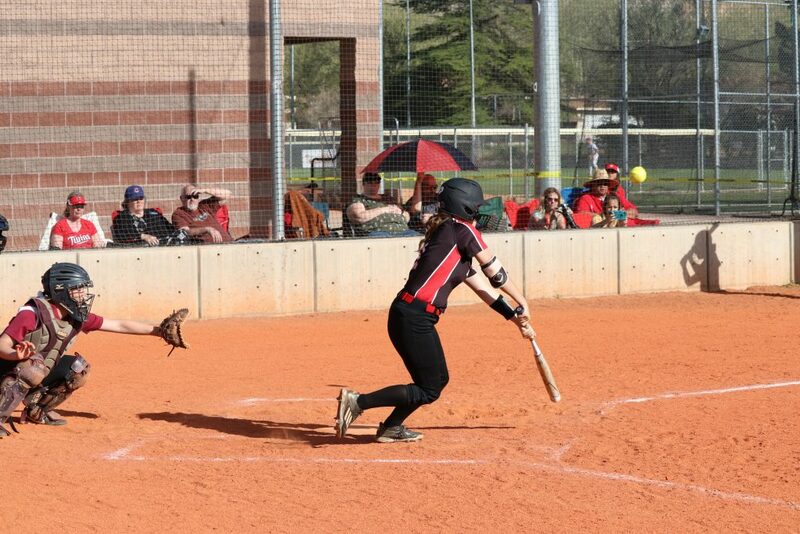 Each team added two more runs in the second inning. 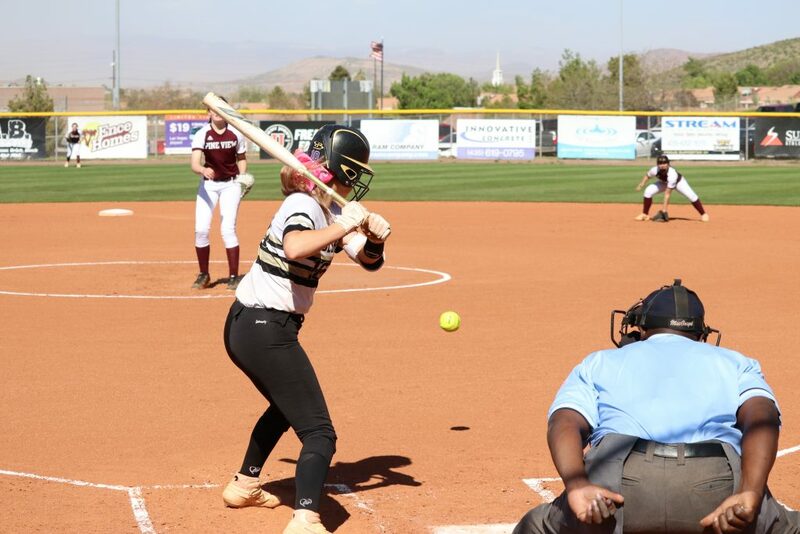 Pine View tacked on two more in the fifth, after which Desert Hills added one to invoke the 10-run mercy rule that ended the game in the bottom of the fifth. 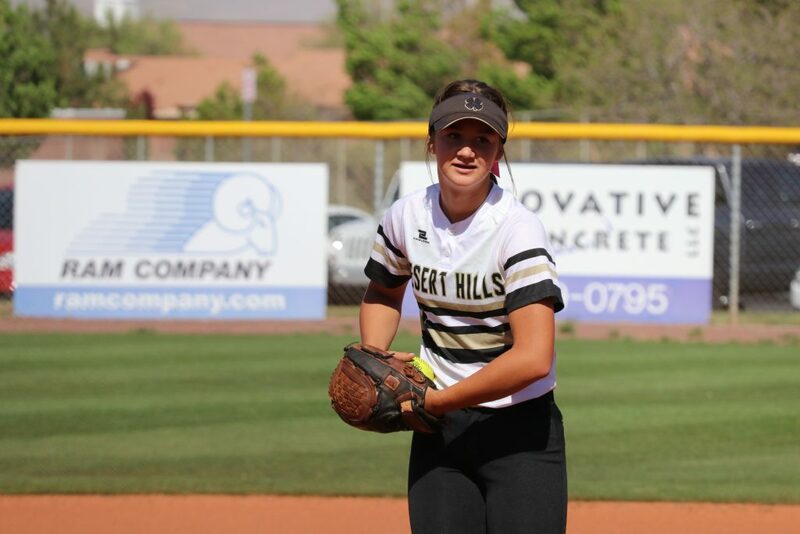 Olds pitched all five innings for Desert Hills, giving up five runs on four hits while walking eight and striking out four. 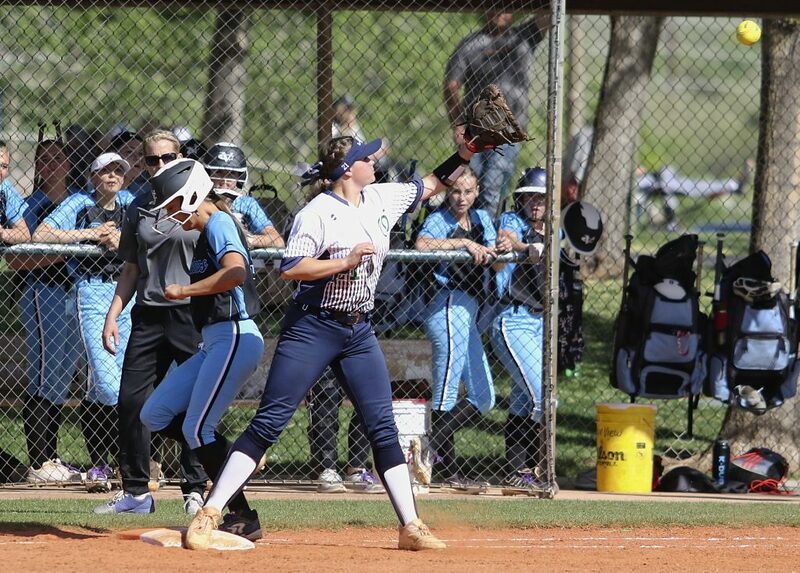 The Lady Thunder committed three errors in the field. 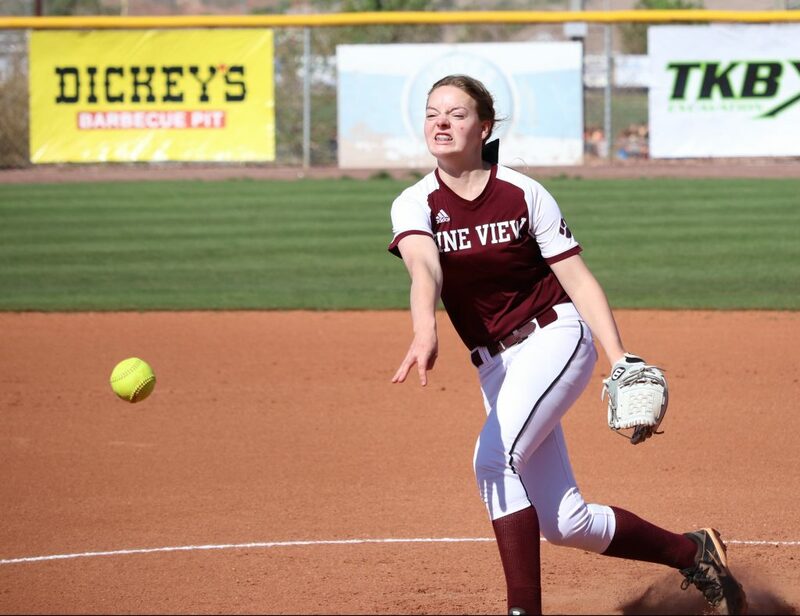 Starting pitcher Sage Stoker took the loss for Pine View. 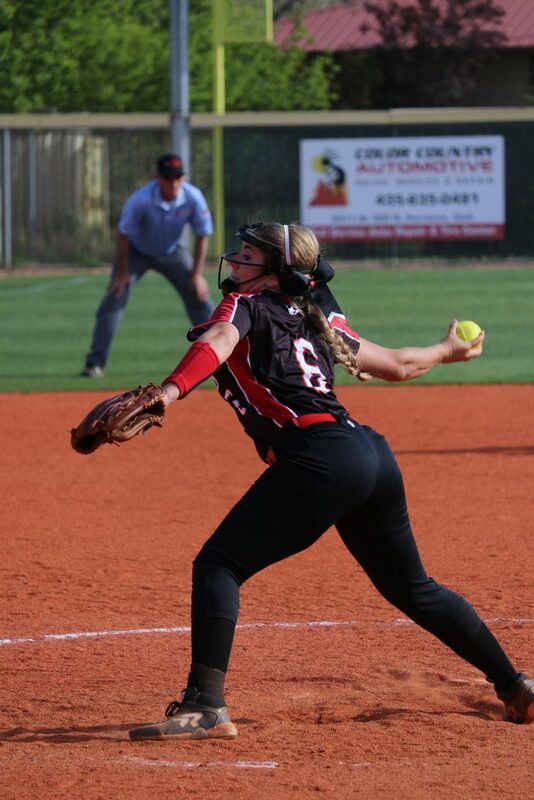 Reliever Audrey Lester pitched the final three innings for the Lady Panthers. 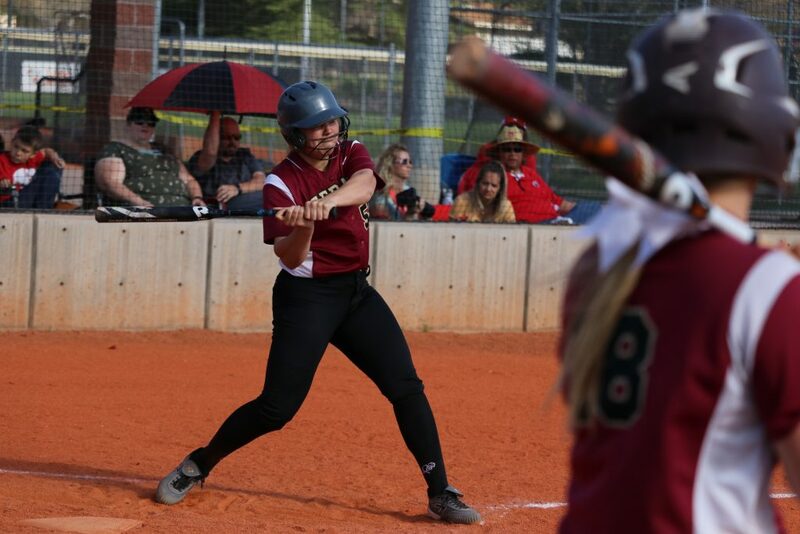 With blustery winds blowing toward the batters in the box, the Cedar Lady Reds were unable to hit any long balls at Hurricane Tuesday. 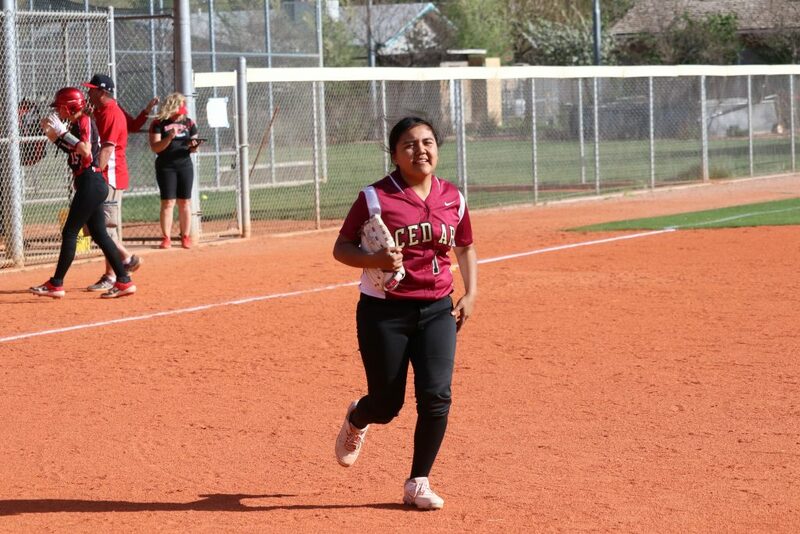 An infield error with one out in the sixth helped Cedar get its first run, as Japrix Weaver scored on the play. 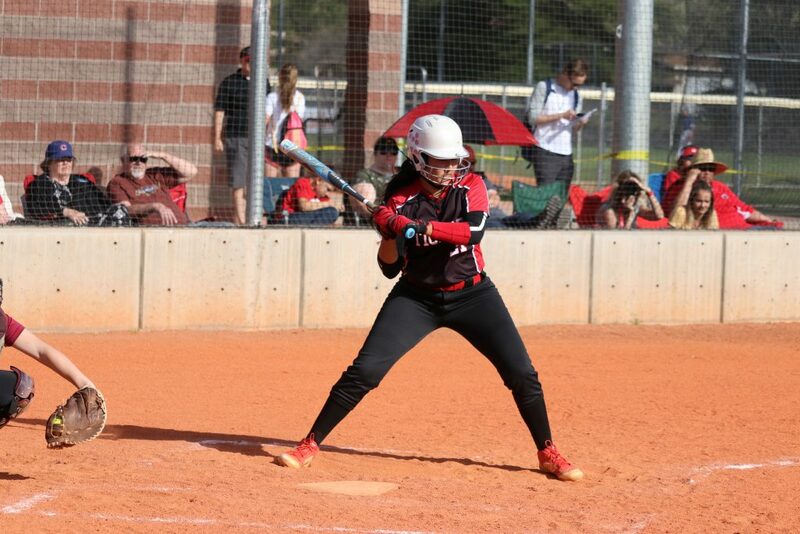 Becca Boyer later hit a single that brought in two more runs to give the Lady Reds a 3-0 lead after six. 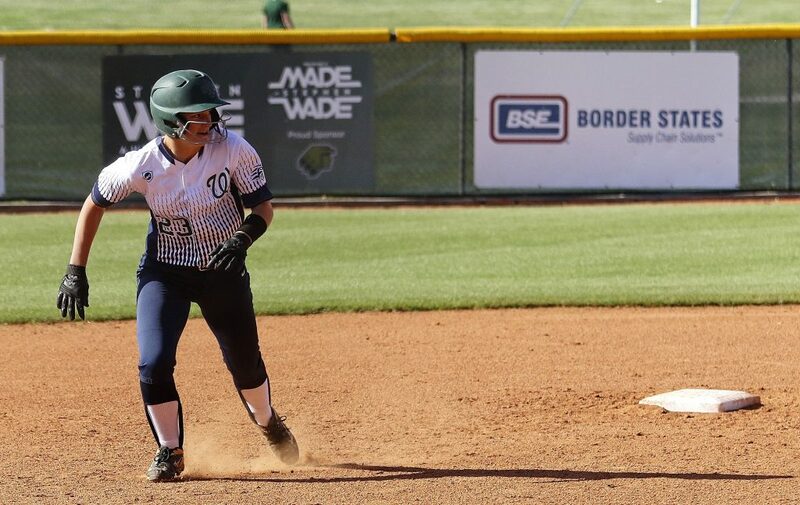 Cedar tacked on two more insurance runs in the seventh, thanks to singles by Denim Henkel and Kelsi Oldroyd. 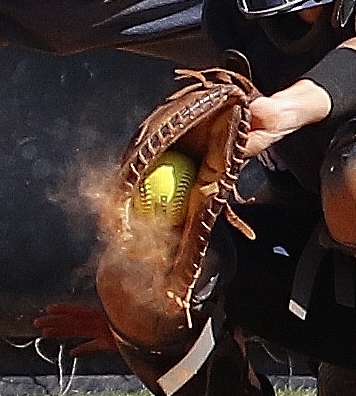 Cedar head coach Chris Weaver said it wasn’t until late in the game that his players started hitting line drives and grounders, rather than fly balls. 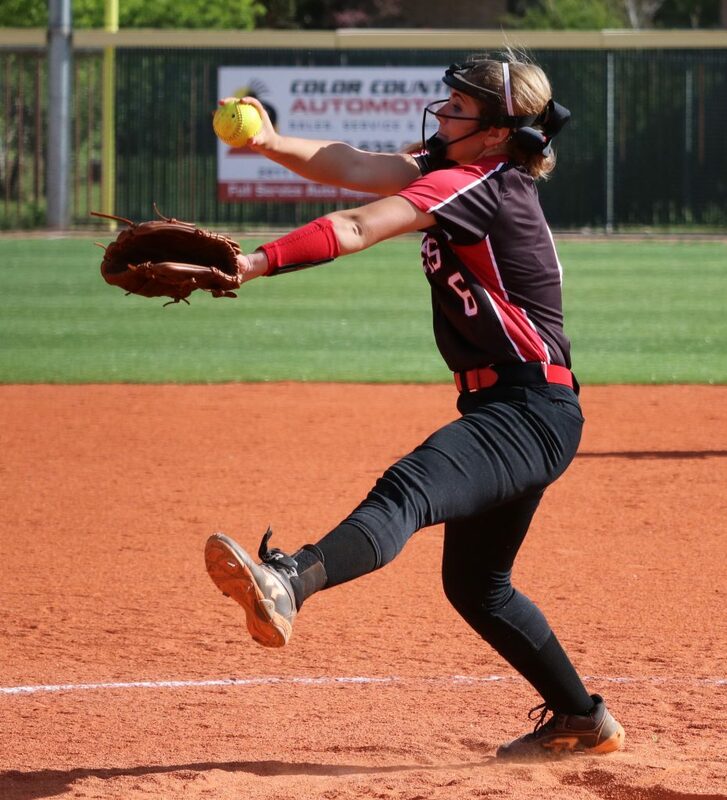 Kenzie Waters pitched the entire game for Cedar, allowing no runs on three hits while walking one and striking out nine. 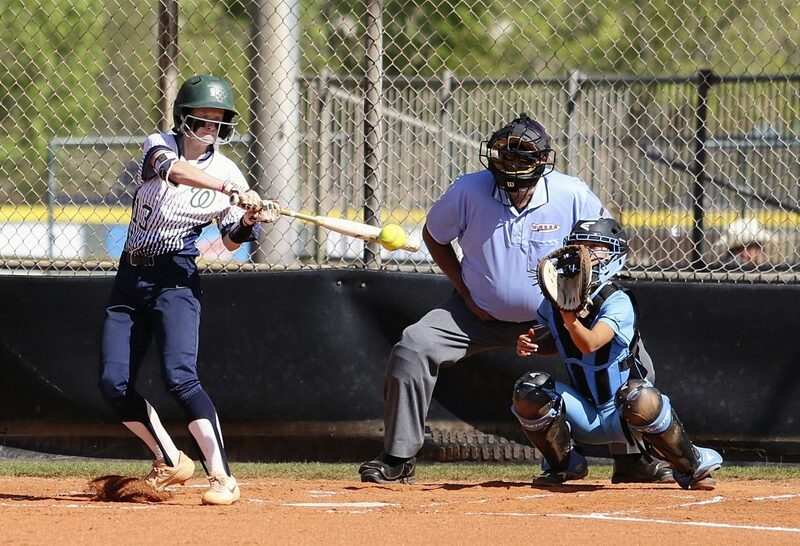 Pearson went the distance for Hurricane, allowing five hits and striking out six. 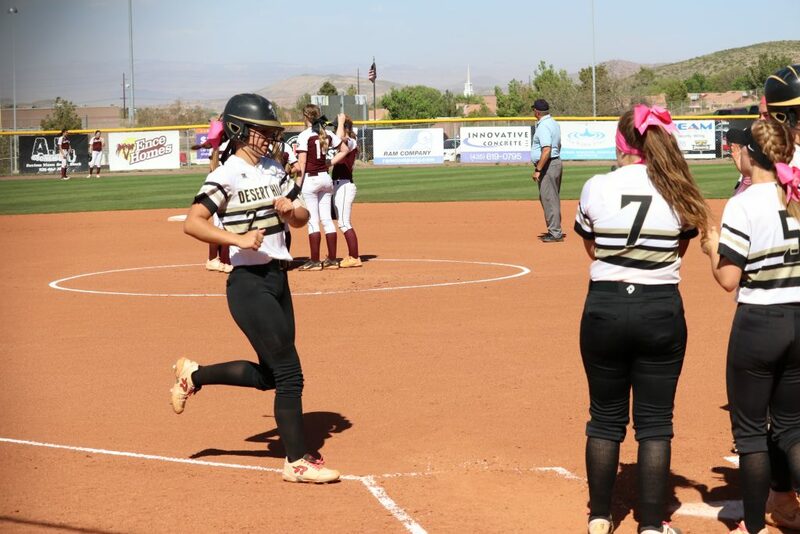 At Snow Canyon, the Lady Warriors trailed Canyon View 1-0 after three innings, but managed to score three runs in the bottom of the fifth. 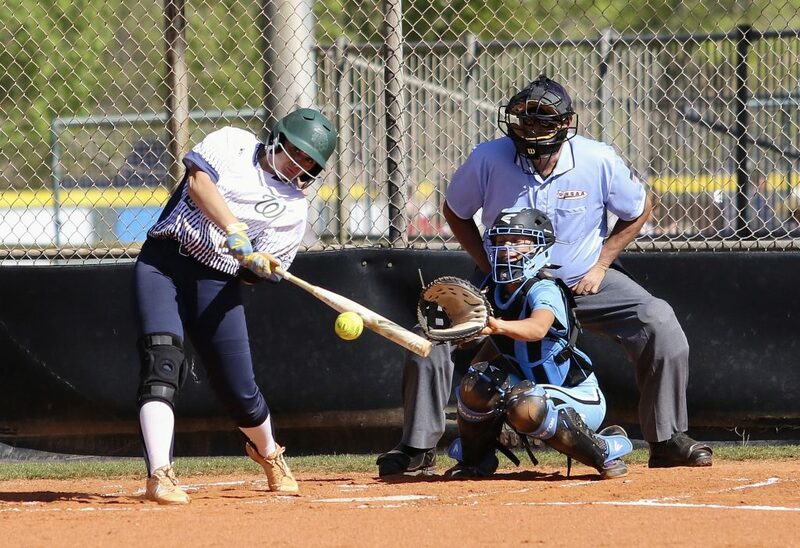 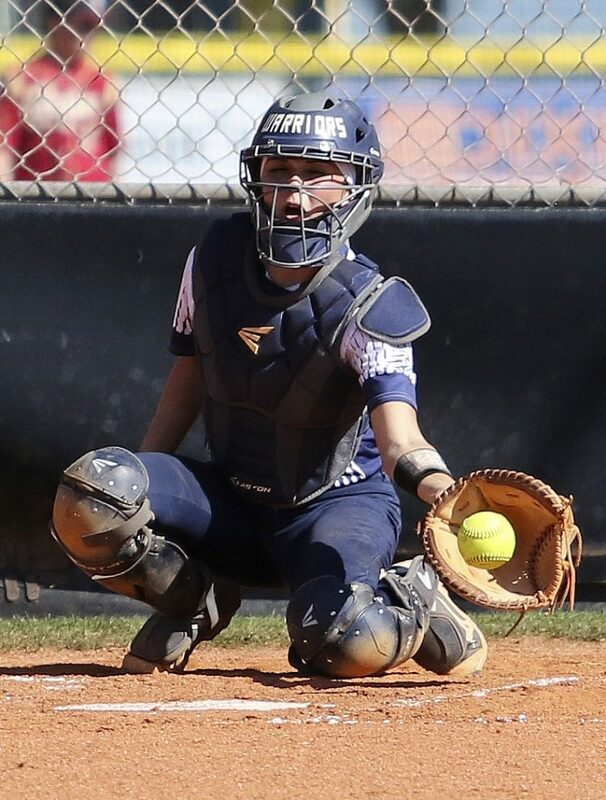 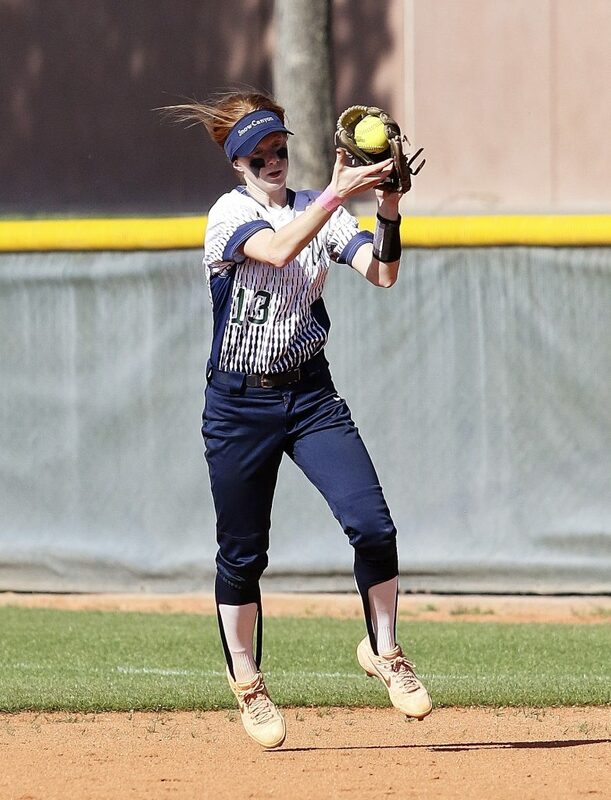 Jael Wilde drove in Snow Canyon’s first run with a bunt single that scored Emma Bingham, who’d reached base on a fielder’s choice play. 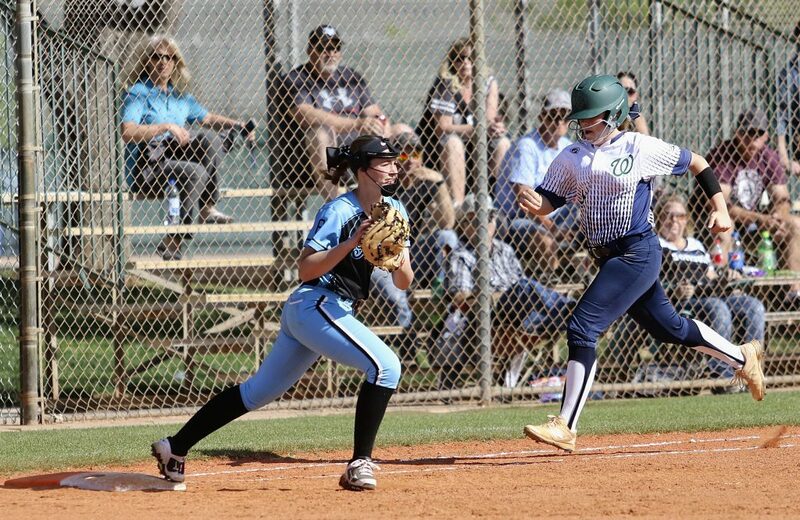 Alex Deming then reached on an error, bringing in another run. 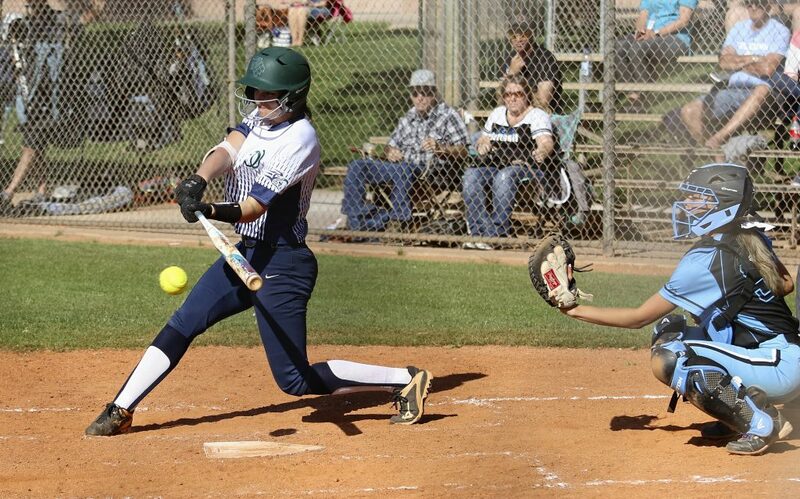 Snow Canyon’s Kambrie Stuart hit a solo homer in the fifth to account push the lead to 4-1. 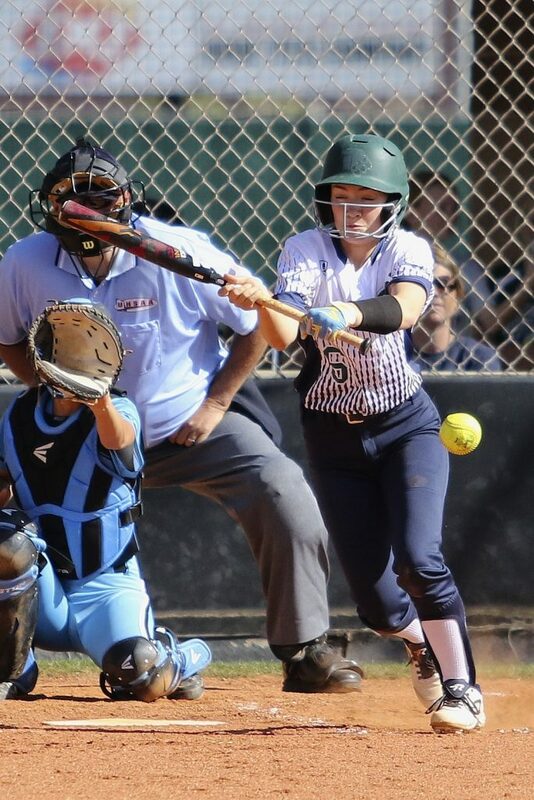 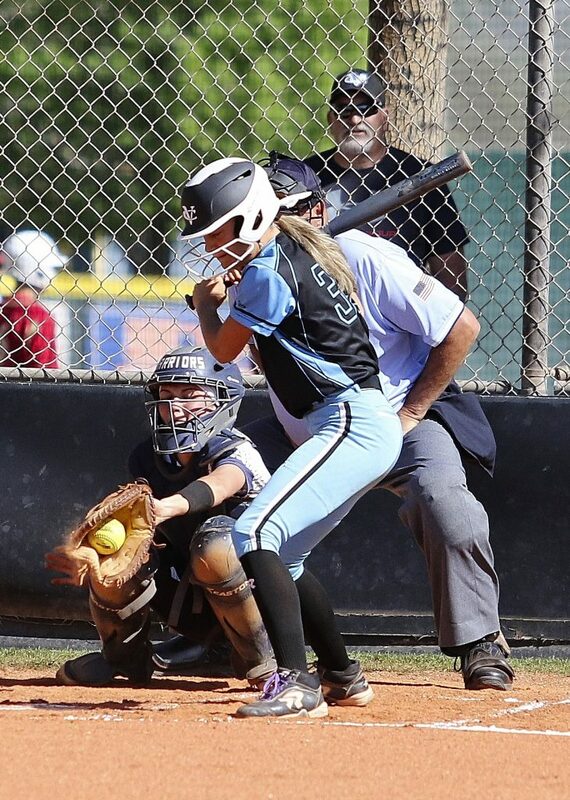 Canyon View was able to get in one run in the top of the seventh and also managed to get the potential tying run on base, but relief pitcher Jenna Thorkelson came in and was able to get the final batter to ground out to second to end the game. 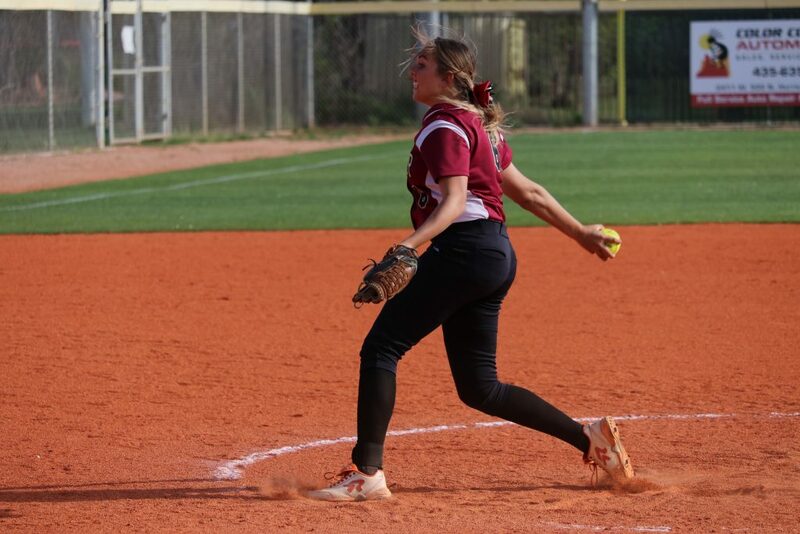 Payten Jensen was the winning pitcher for the Lady Warriors, allowing two runs on four hits while walking four and striking out 14. 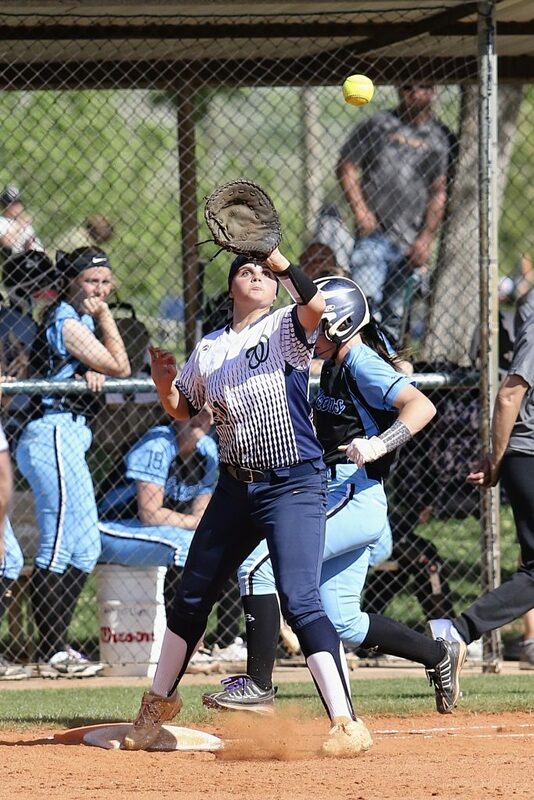 She pitched all but the game’s final out. 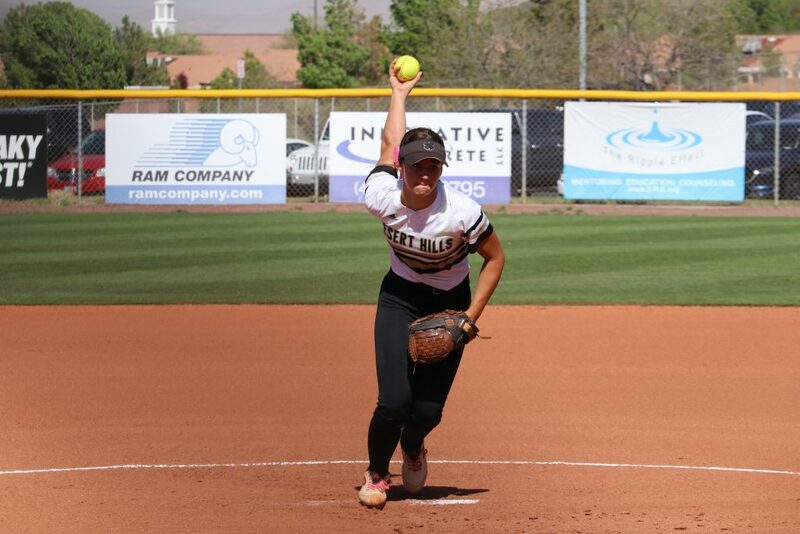 Jordan Nielson went the distance in the circle for the Lady Falcons and took the loss, giving up six hits while walking zero and striking out three. 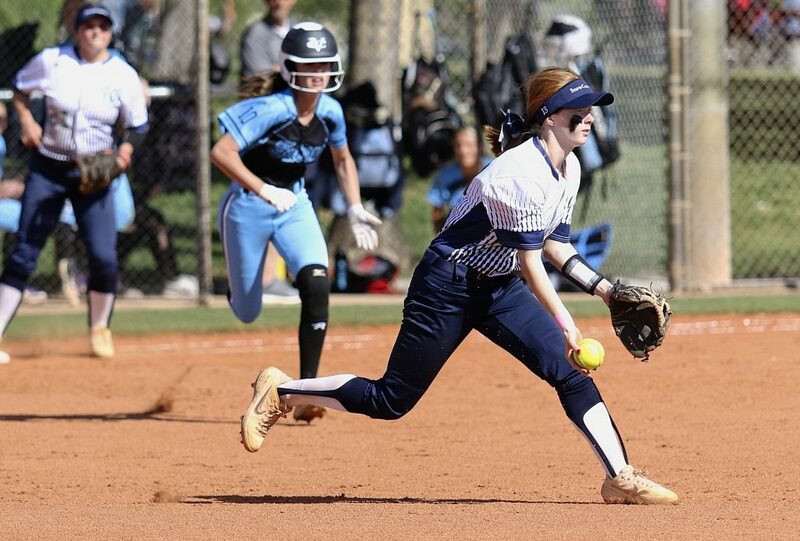 Friday’s schedule is as follows: Pine View will play at Snow Canyon at 3:30 p.m., Dixie plays at Cedar at 4 p.m. and Hurricane plays at Canyon View at 4 p.m. 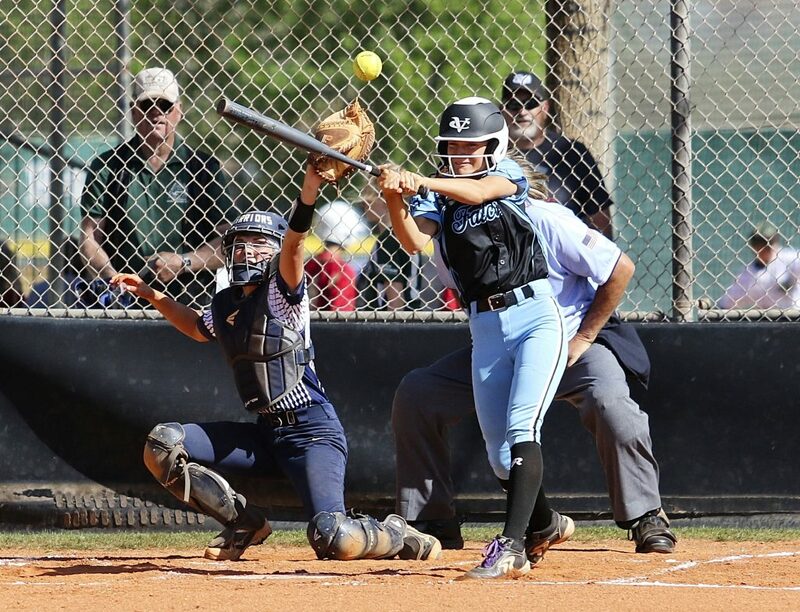 Updated April 10, 4 p.m. to include 15 photos of Canyon View vs. 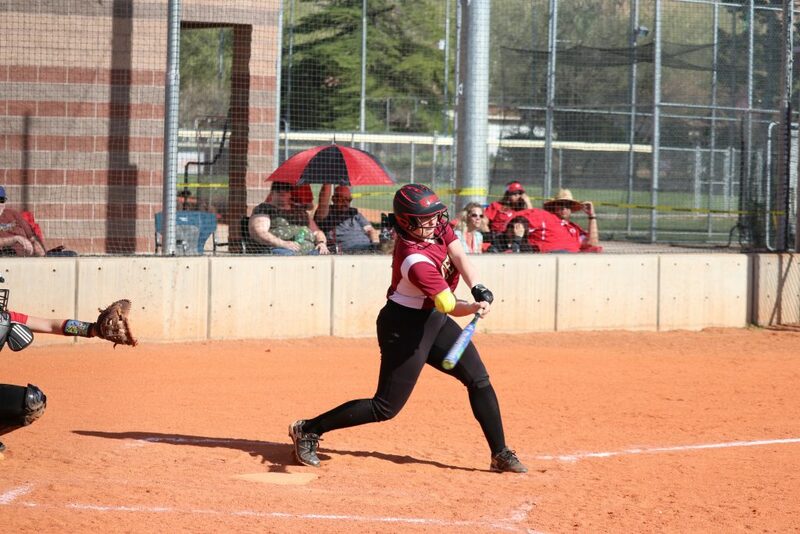 Snow Canyon game to the story gallery.